Wow, Fiat Chrysler Automobiles (FCA) is on fire! 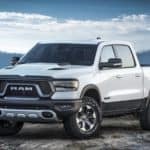 The automaker recently announced that the FCA is investing $30 million into autonomous testing by redesigning and upgrading their Chelsea Proving Grounds. 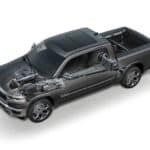 Jeep released some tidbits about the 2020 Jeep® Plug-in Hybrid, and it seems like Ram trucks are releasing a new Ram Special Edition every month….